Spring has finally arrived and that means the arrival of all of the delicious spring produce! Rhubarb is always a special treat. It grows like crazy even though it only produces for a short window of time. Rhubarb is one of those plants that is incredibly easy to grow and will continue to come back and produce year after year. It’s a great way to add another vegetable to your garden and to your diet. Today I’m rounding up some deliciously easy rhubarb recipes for you, perfect for that rhubarb growing in your garden or any that you might find at the farmer’s markets or grocery stores this time of year. Enjoy! 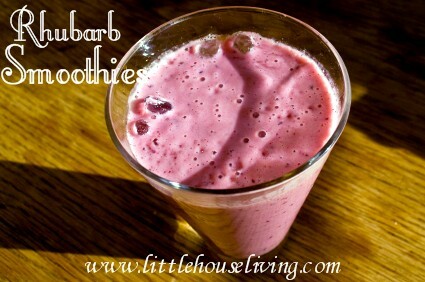 Rhubarb Smoothies are a quick and easy way to use your rhubarb and sneak an extra vegetable into your day. This recipe post also gives instructions on how to properly harvest rhubarb, just in case you were wondering! 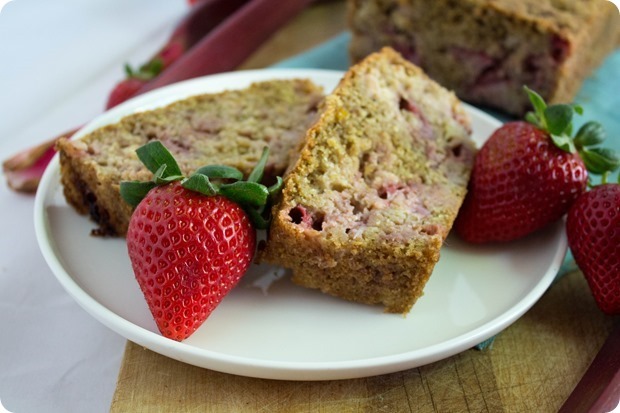 Strawberry Rhubarb Bread is a yummy quick bread treat that the whole family will enjoy. This bread is perfect for breakfast or even for a mid-day snack. 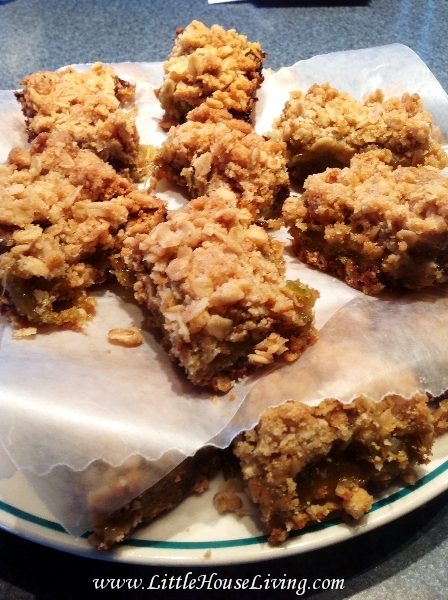 This Old Fashioned Rhubarb Bars Recipe is one of my favorite rhubarb recipes. 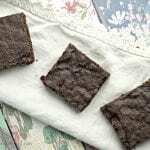 They are easy to make and you can easily make them gluten free! 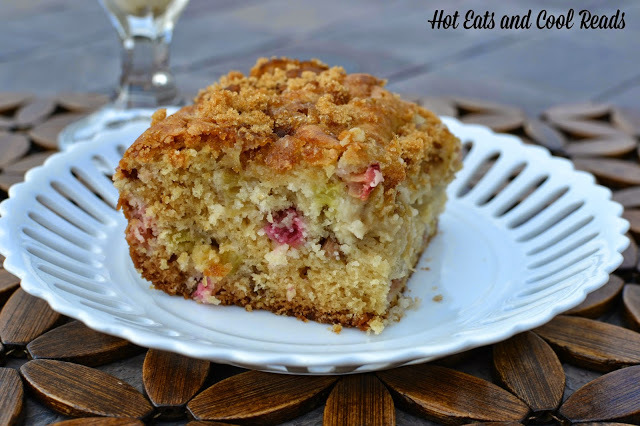 Now if you really want a treat you might want to give this Brown Sugar-Topped Rhubarb Cake Recipe a try! I’m thinking this would be perfect for a spring birthday cake. 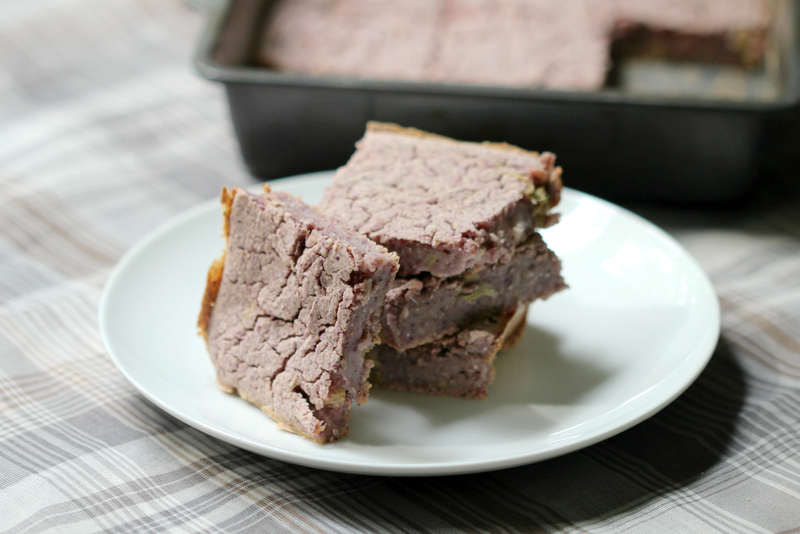 If you are gluten and dairy free you might enjoy this Vanilla Rhubarb Blue Cornbread. I think my boys would love this recipe so I’m going to have to give it a try. 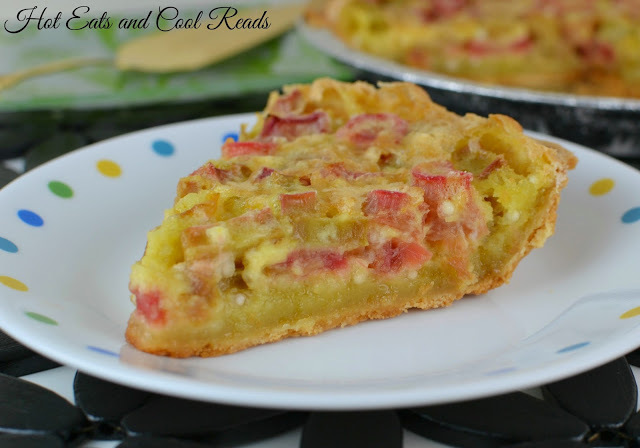 Ok, this Rhubarb Custard Pie looks incredibly easy…only 6 ingredients? I think I’d use my Butter Pie Crust with it instead of store-bought but other than that the recipe looks great! This recipe just looks so interesting that I had to include it. 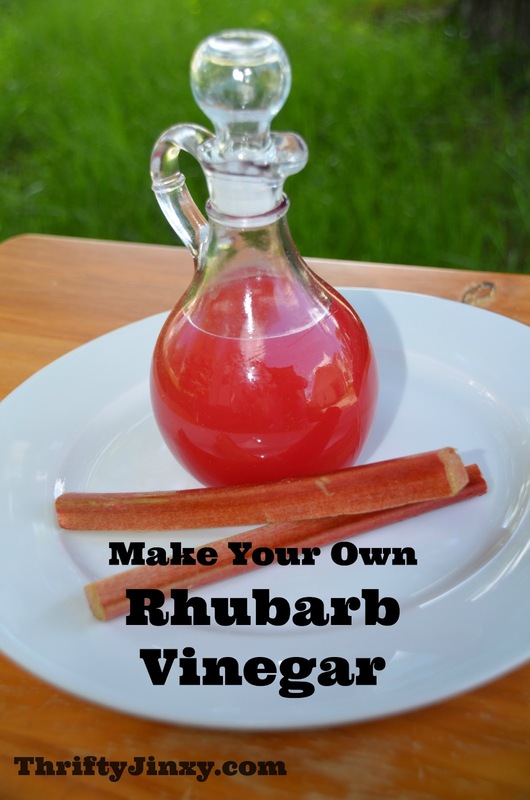 Have you ever made Rhubarb Vinegar? I’m thinking it would be a great way to use up extra Rhubarb and might be really good added to homemade salad dressings. What do you think? 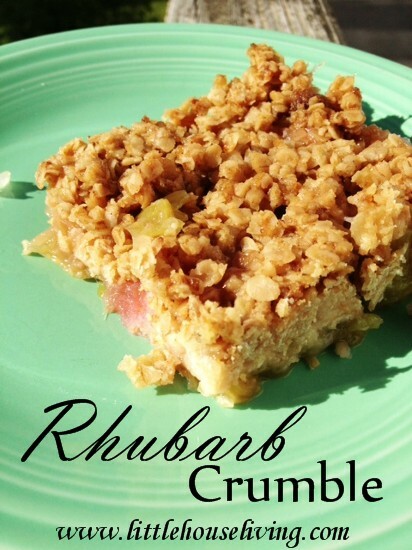 This is another one of my very favorite rhubarb recipes… this Rhubarb Crumble Recipe! It’s so easy to make and it’s even gluten-free. 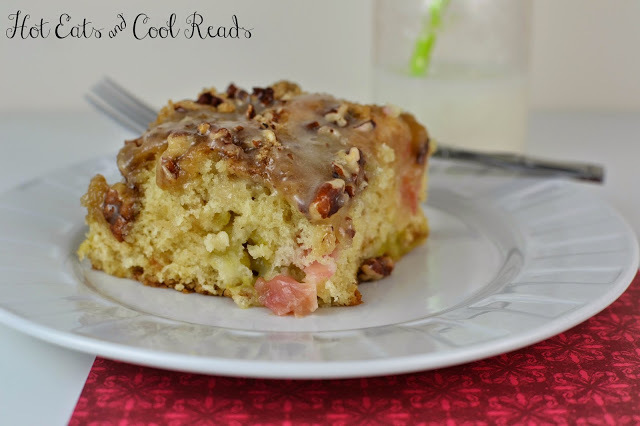 If you want to use your rhubarb in an upcoming brunch, you might want to give this Rhubarb Coffee Cake a try! Looking for something a little “fancier” to make with your rhubarb? 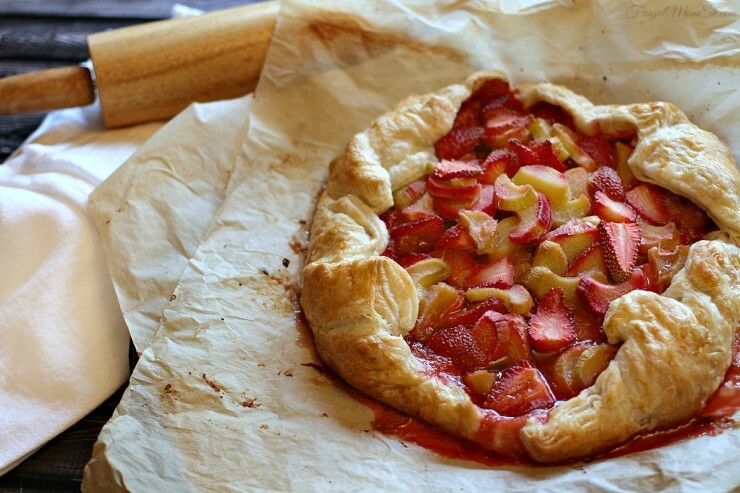 Here’s a delicious recipe for a Strawberry Rhubarb Galette. It looks like you spent a lot of time making it but it’s really very simple! Does your family enjoy a good peach or apple crisp? 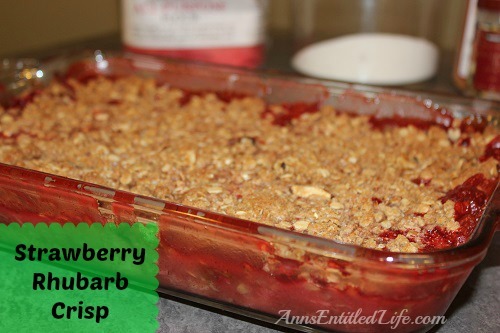 Change it up a bit this spring and make a Strawberry Rhubarb Crisp instead! Jam and Jellies are always a staple to make and making one with rhubarb is no exception! 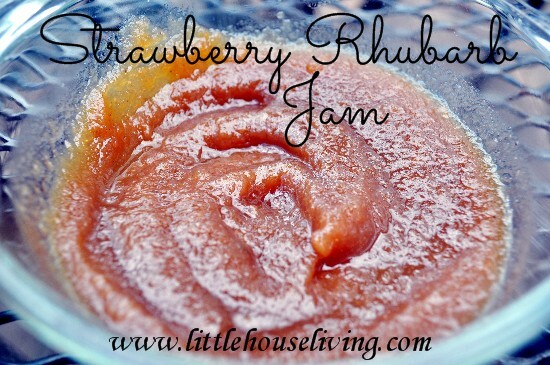 Strawberry Rhubarb Jam is easy to put together (no pectin needed!) and you can preserve the extras to enjoy all winter long. Now if you’ve made it to the end of this list and tried all of the easy rhubarb recipes that your family would enjoy but you STILL have more rhubarb to use up, you can always start Canning Rhubarb! It’s really actually very easy and can be done in no time. You can always freeze rhubarb but I love how canning rhubarb helps to pre-cook the rhubarb so that it’s much easier to add into recipes. This list of easy rhubarb recipes is making me hungry now, how about you? What are some of your favorite easy rhubarb recipes that you love to make in the spring? I love rhubarb and the fresh taste of spring and new growth every spring. Please chime in on how to make these with less sugar as I am really trying to do sweet treats with only minimum amounts of sugar? They all look really yummy though! I do not use the artificial equal/splenda stuff!!!! 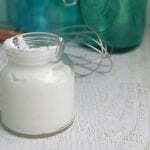 I found this online conversion for using honey instead of sugar. I made canned apple sauce with honey last year, and it was extremely good so I’m going to try canning peaches/pears this year with honey syrup. Buy fresh Driscol strawberries, wash & stem and measure them and set aside. 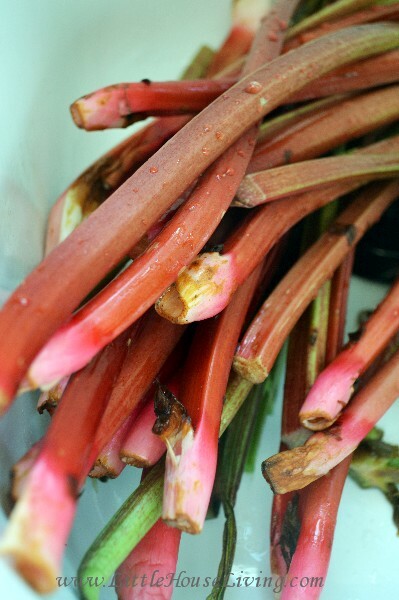 Cut up fresh rhubarb stems in the same quantity. Cook the rhubarb in a small amount of water, covered for about 5 min. after it boils. Remove from heat when done and put all the strawberries in the pan with the hot rhubarb. Stir and allow to cool completely in the pan. Chill overnight and serve each dish with just a little sugar each, according to taste. The Driscol strawberries are a little sweeter than others, and help to sweeten the rhubarb. I hope this helps! Have you tried monkfruit sweetener? It is natural. A bit expensive but tastes good. You use equal weights of vinegar & prepared fruit, bring to a simmer, mash the fruit slightly, pour into sterile jars, store in a cool dark place for about 2 weeks, to allow the fruit flavour to infuse. After that, strain through cheesecloth, coffee filter etc (depending on the type of fruit you use) & bottle for giving/use. You can use apple cider, rice, white wine, balsamic vinegar, depending on budget & preference. My vinegars actually sat for a couple of months before I decanted them & had amazing flavour/colour. 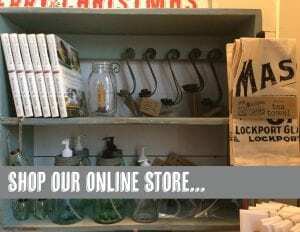 The make wonderful vinaigrettes. I generally use a bit of honey to sweeten to taste at the time. I did 2 batches of some of the fruits, one with white wine vinegar & the other with apple cider vinegar to do a taste test, the winner was apple cider vinegar. rhubarb. when I lived in Wisconsin I always had lots because my father in law grew it. It’s possible, but it will need plenty of shade and plenty of water. I lived in Florida for years, North Florida, and tried and tried to grow rhubarb, even using the variety specially designated by the University of Florida horticulture experts as the only one even possible to grow in Florida; all with no success. We then lived in northern Montana and it was like zuchini (so much you couldn’t get rid of it!) Now I am in Northern California, it is abundant, and I can’t wait to try these recipes! 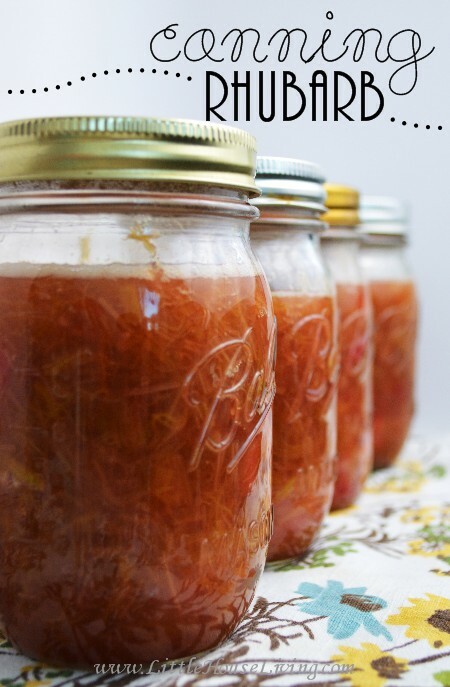 Thanks for the great ideas- I have an abundance of rhubarb in my backyard right now and have been having stewed rhubarb on my breakfast each morning but needed some different ideas. I have never baked with rhubarb. Your sharing of recipes is inspiring me! I will pin your post for the future. Thank you for sharing! Our Rhubarb is just coming in and I was getting worried what I was going to do with all of it! Definitely pinning this to my recipes board! Thanks! Can someone please tell me why every or almost every recipe calls for Strawberries?? I do not eat them and I would like to find some recipes that did not call for their use. Is there a reason that all recipes have Strawberries? I mean will other fruit not be just as good? What about Blueberries, they are generally sweeter, I find then Strawberries. Would they not work? And what about just a plan way to cook Rhubarb? I think strawberries are included because they are sweet and because their flavors pair so well with rhubarb. I don’t see why other fruits or berries could be substituted in the recipes. Thank you, I just could never understand why it is always Strawberries, which makes it hard for someone like me, who does not eat Strawberries! Great ideas here. I have lots of rhubarb coming up in the garden, and will probably get some in my CSA box starting later this month, so all ideas welcome. Am especially intrigued by the vinegar idea above and from a commenter. Will definitely try. Found you at Show and Tell party. All i knew before this was a strawberry rhubarb pie that my father in law used to make. Thanks for the great ideas! 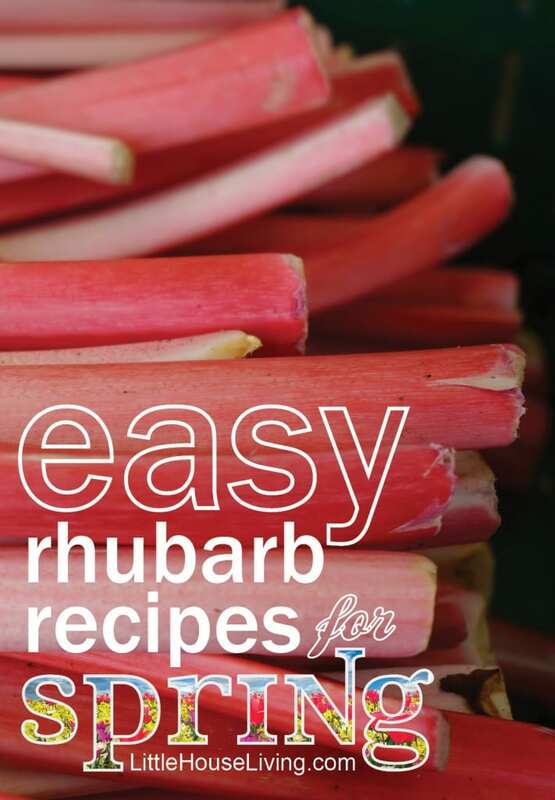 This is such a fantastic collection of rhubarb recipes! All of the recipes you featured sound delicious, but that rhubarb smoothie looks amazing. I will definitely be trying that beauty out in the near future! Thank you so much for posting all of these in one perfect little place. Will be pinning for sure. 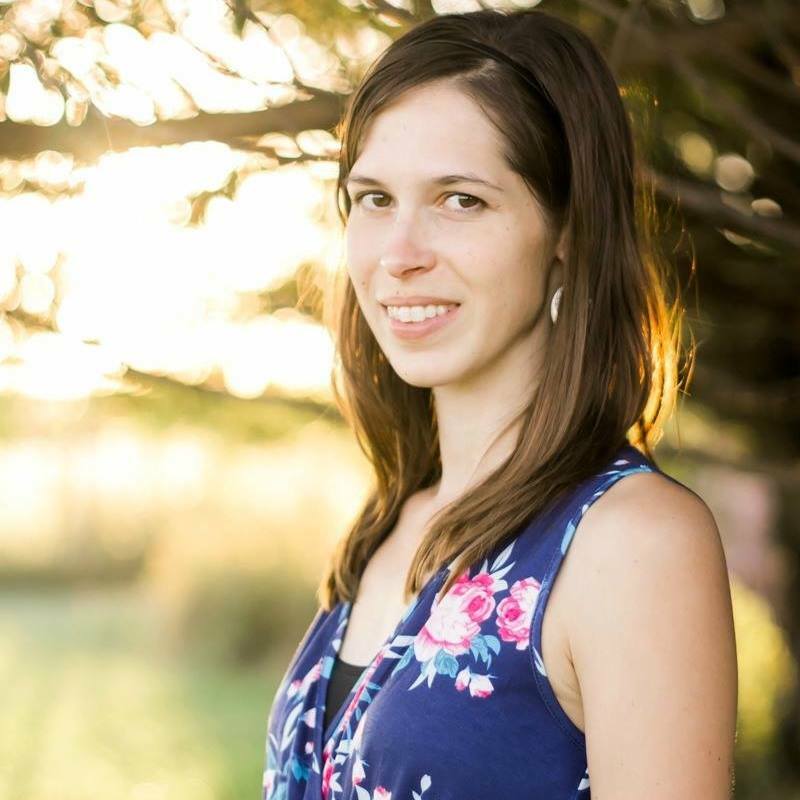 I’m stopping by from the Meet Up Monday Link Party! 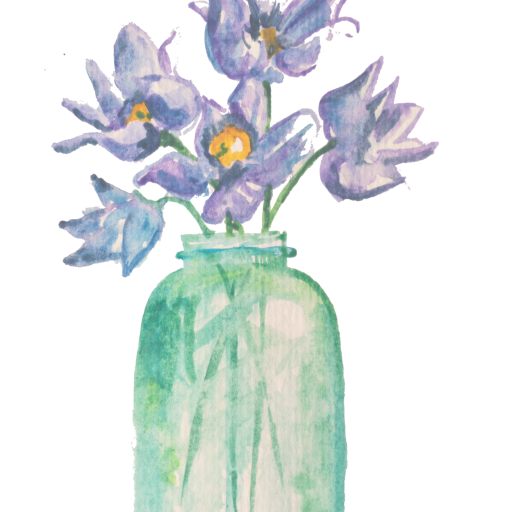 I hope you have the most wonderful week. Thanks again for your post!!! Mmmmm, I love rhubarb recipes! That rhubarb vinegar has me intrigued…perhaps that will be my next recipe to try! Thank you! Merissa, you are the rhubarb diva! Thanks for these recipes. Mine is ready to pick and I”ve got to get to it tomorrow! I haven’t cooked with rhubarb in years! Your recipes have me thinking.